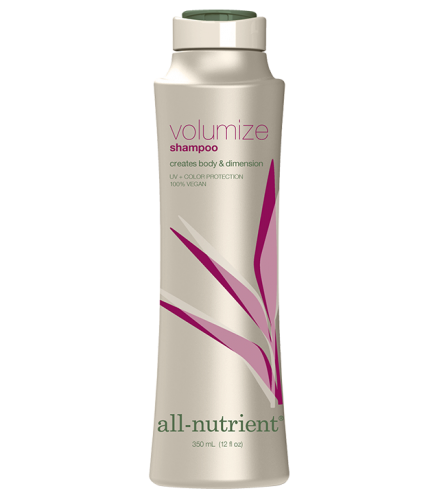 Volumize Shampoo provides vital nutrients to make the hair fuller, thicker, and healthier. Quinoa and Keratin Proteins rebuild the hair's polypeptide chains, adding strength and texture without weighing the hair down. Ginkgo Biloba rejuvenates dull, tired-looking strands for ultimate body, while Red Raspberry Fruit prevents brittle, split ends. Rainforest Buriti Fruit Oil dramatically increases softness and shine for a healthy, luscious look.